I first read this seven-and-a-half years ago. I guess I would have been in my mid thirties or something. Math is hard. I liked it. 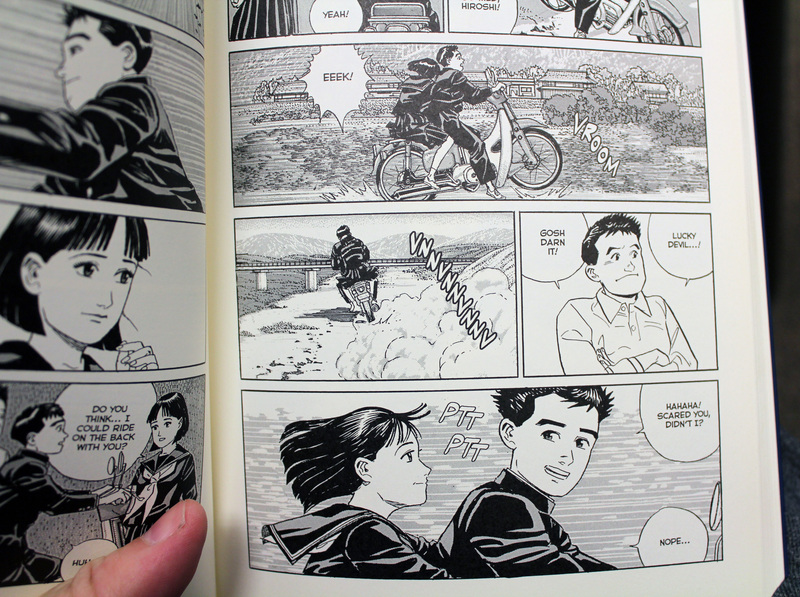 I love Taniguchi's art and I was still head-over-heels for The Walking Man. I liked A Distant Neighborhood but I didn't love it. I remember wanting to write a review of it but not really having anything to say beyond a lukewarm sort of congratulations. It felt too, I dunno, simple to me. But now because of this series, I'm looking for different kinds of books to fill in the nooks and crannies of what I absolutely plan cover. So along with reading new material, I'm rereading older books that I've forgotten a bit. That's how Solanin got on the list a few weeks back—I reread it and was wowed and was reminded how much I liked it when it came out. 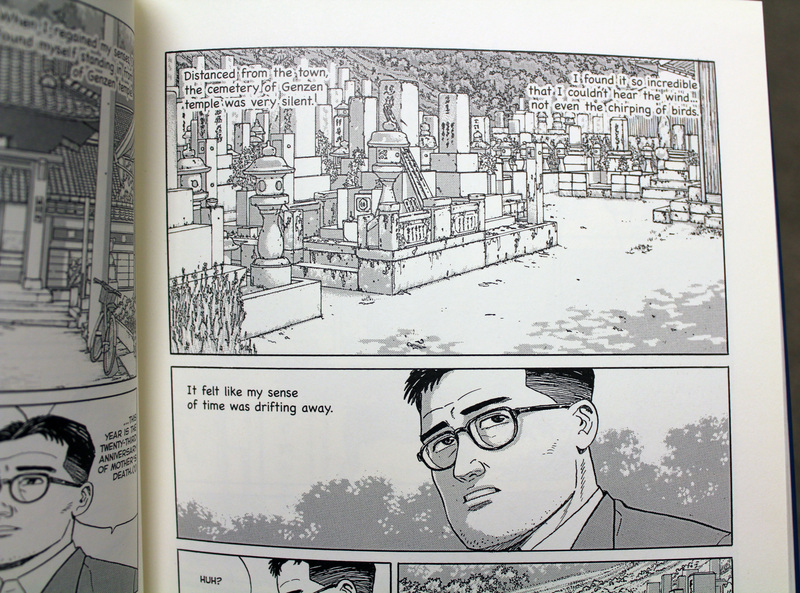 Rereading A Distant Neighborhood last week, I see that the first time I read it, I was either looking for something else or maybe I just wasn't old enough in my experiences to really feel the weight of Taniguchi's world. Because while I liked it when I first read it, I loved it when I read it just now. 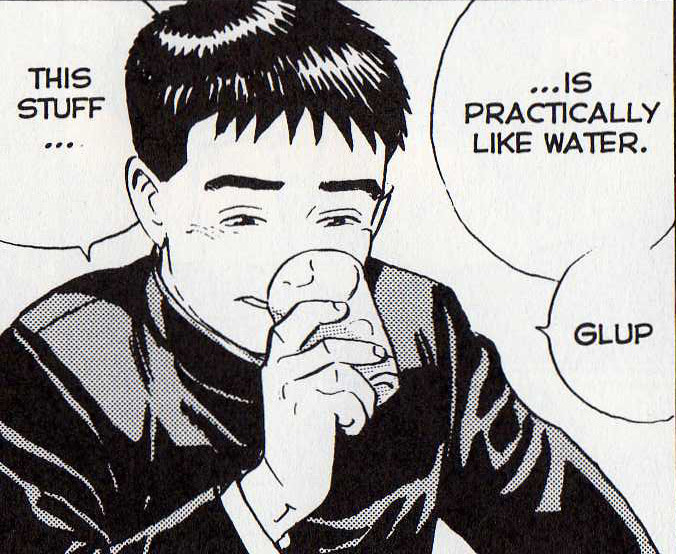 Hiroshi is 48 years old, a successful and alcoholic architect. He's distanced from his family. He may not have a mistress, but he's not above the occasional infidelity while he's away on business. One day, suffering from that kind of disassociation that might come after a night of heavy drinking, he boards the wrong train. Instead of heading toward home, he finds himself in the town where he'd grown up and the memories of his time there begin to trickle back. Exhausted, he falls asleep. 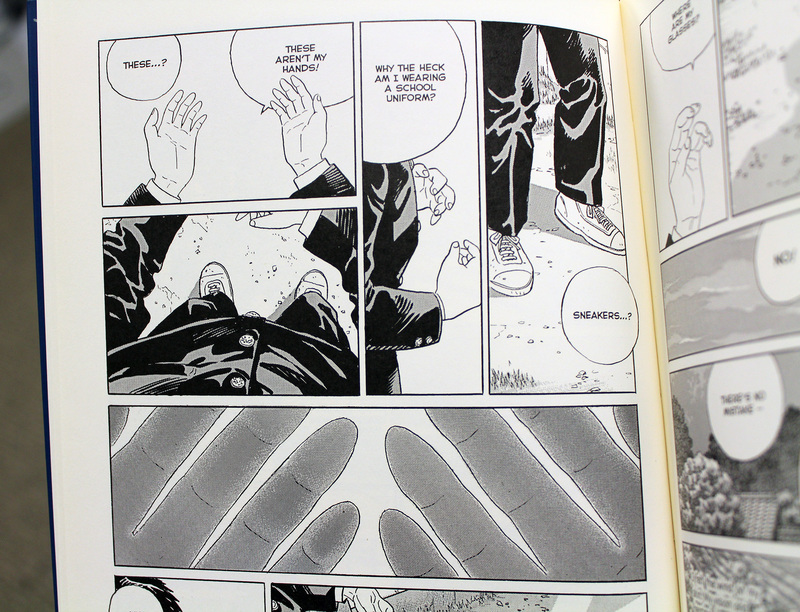 Waking, Hiroshi finds that he is back in his 14yo body and life. His mom is alive again, his dad hasn't left the family yet, he's back in school. It's all very disorienting but he doesn't seem to be waking up from a dream and as the weeks go by, he realizes this is his life now—a 48yo man in a 14yo boy's body. Which makes his taste for alcohol not work out so well. But more, he believes he may have the chance to prevent his dad from vanishing one night at the end of summer. 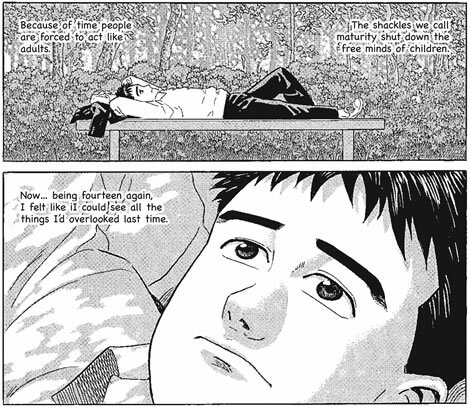 I'm much closer to Hiroshi's age now (even if our lives are vastly different) and it's a bit easier for me to see the things that motivate both him and his father. What struck me as simple before feels poignant now. And maybe you'll feel the same. 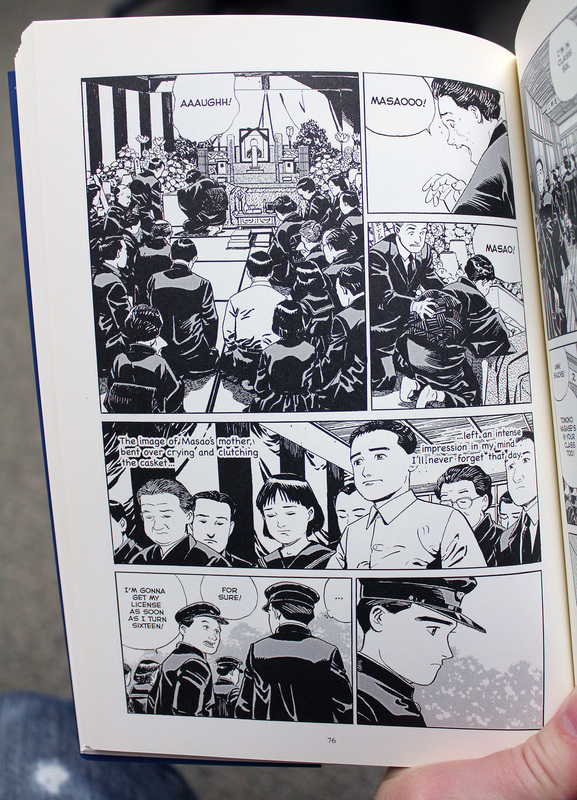 Fanfare/Ponent Mon rereleased the series in a single volume recently and I recommend it to you.